A pull wire switch is also referred to an emergency stop switch, but due to the additional functions of the pull wire switches, a pull switch is more than just an emergency stop pull wire switch. For example, a pull wire switch can have an emergency stop button and integrated reset button. 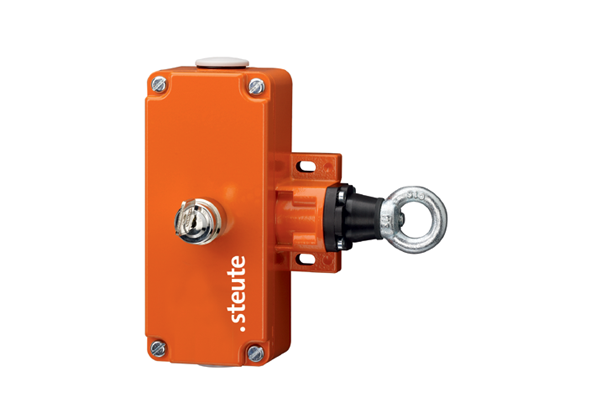 Steute develops and produces, inter alia, pull wire switches, position switches, wireless switches and is a specialist in the field of safe switching applications. Pull wire switches are available in different variants. For example, there are pull wire switches with plastic and metal housings, ATEX versions, seals up to IP69K and single or double-sided operation. The switch is operated by pulling the wire/cable (draw cord). The ZS 92 S pull wire switch with safety functions has an aluminum housing and is equipped with multiple coatings (passivated, base coat, powder coating). The pull wire switch can withstand temperatures from -40°C up to +85 °C. The ZS 92 S pull cord switch is available in nine different settings and can be installed in any working position. Installation at the rear is also possible. 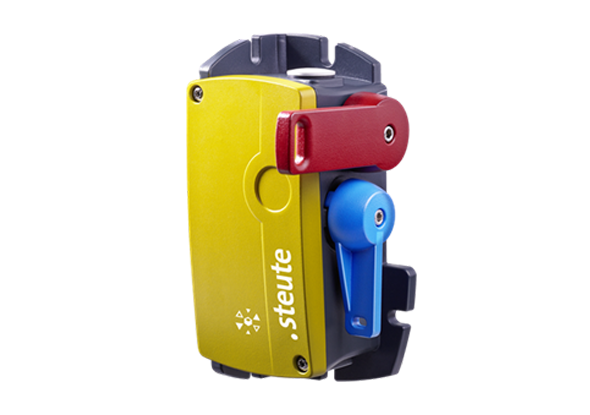 The pull wire switch ZS 71 from steute has an integrated reset button in addition to the safety function. For machines with limited installation space, the ZS 71 is a suitable solution. 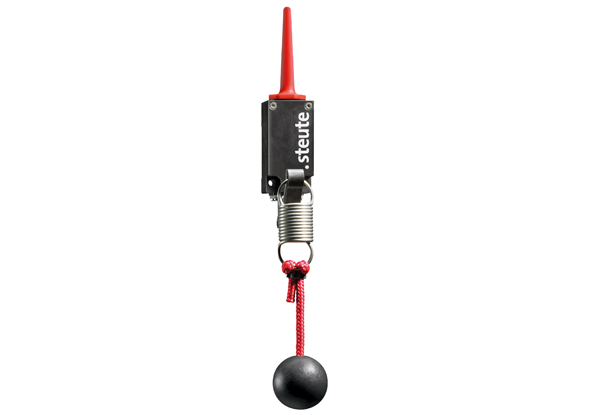 Due to its length of only 105 mm, the pull switch with cord can be built in very compactly. The ZS 71 is available with two or three contacts (2x NC and 1 NO). The pull cord switch is resistant to water at 80 °C and has a draw cord of 35 m.
The ZS 71 pull switch is available with an IP69K seal. The corrosion-resistant housing is resistant to acid and cleaning with a high-pressure cleaner of 100 bar at a distance of 10 cm. It goes without saying that all models meet the standard EN 418 / IEC 60947-5-5. Read more about pull wire switch with safety function and reset button. An emergency stop pull wire switch provides protection on every part of the technical installation. In case of emergency, the emergency stop can be activated immediately, without looking for the emergency stop switch. The pull wire switches have degree of protection up to IP65/IP67. Lift conveyors are often used in heavy industry, such as mining, machine industry and the chemical industry. Metal or stainless steel housings are preferred in heavy industry. 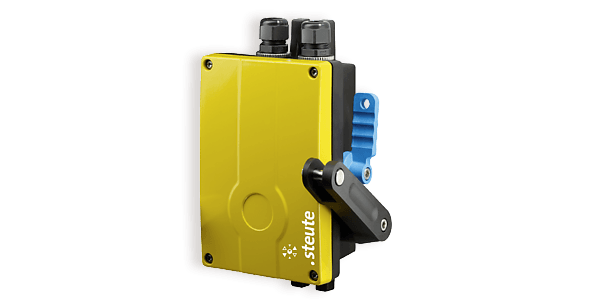 ATEX variants are available for ATEX zones with explosion hazards. In addition to pull-cord switches with pushbuttons, there are also pull wire switches with safety function and recovery key. 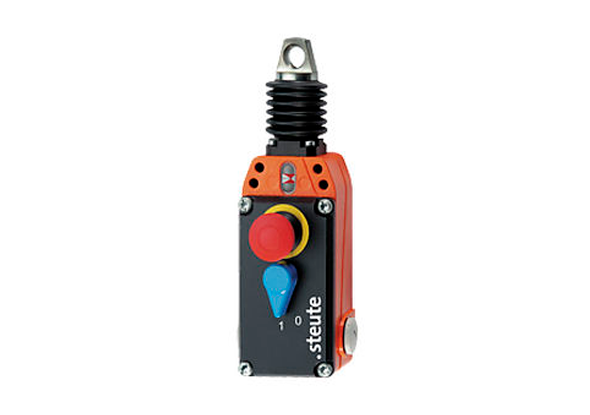 The steute ZS 75 pull cord switch is suitable for extreme, explosive and heavy-duty environments. The housing is made of cast aluminum. 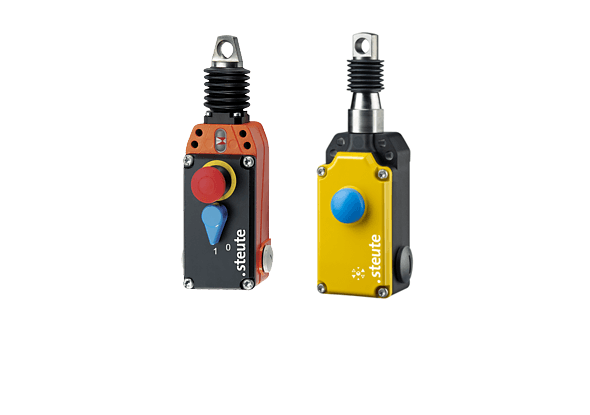 For environments where there is a risk of explosion due to the presence of flammable gases or substances, there is an 'Extreme' version, the pull cord switch with release key Ex ZS 75. 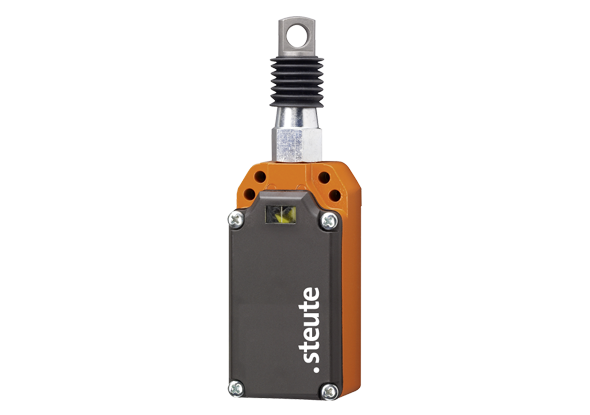 The steute Ex ZS 90 S IP67 has two-sided operation and is suitable for ATEX zones 1 and 21. The pull cord switch has a thermoplastic housing with IP67 seal has two-way operation with four contacts (2 NO / 2 NC). The pull cord switch can be unlocked with a lever and detects wire drawing and breakage. 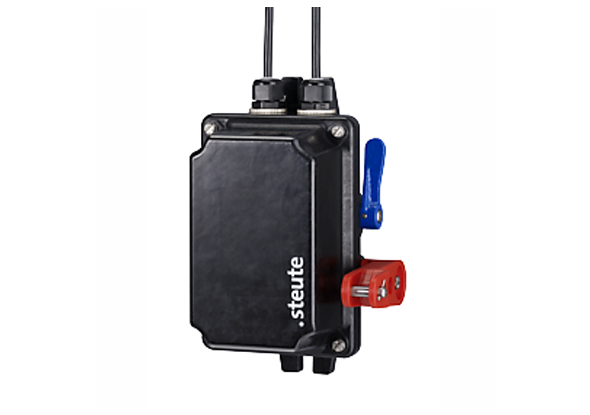 The wireless switch RF 95 WH / 90 ° EN868 from steute has a fiberglass reinforced, impact-resistant housing. For explosive environments, there is an Ex variant (Ex RF 95 WH / 90 ° EN868). The pull switches have a sealing degree of IP65 / IP67. The Ex wireless pull-cord switches can be used in classification zones 1 and 21. The glass fiber reinforced housing pull wire switch has been specially developed for 'Heavy Duty' applications. The housing can withstand a very high mechanical load. The pull cord switch has a high seal to IP67 and is easy to integrate into a safety circuit. The drawstring length is a maximum of 2 x 50 meters. Because of the two drawstrings, large hazardous areas can also be equipped with a quickly accessible emergency-off facility. For visualization, a yellow indication lever or a signal lamp can be chosen. The pull switch meets the requirements of DIN EN 60947-5-5. Read more about the pull cord switches with glass fiber reinforced housing.